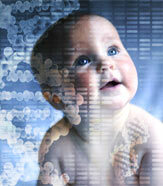 NON INVASIVE PRENATAL DIAGNOSIS OF ANEUPLOIDY: NEXT GENERATION SEQUENCING OR FETAL DNA ENRICHMENT? Current invasive procedures [amniocentesis and chorionic villus sampling (CVS)] pose a risk to mother and fetus and such diagnostic procedures are available only to high risk pregnancies limiting aneuploidy detection rate. This review seeks to highlight the necessity of investing in non invasive prenatal diagnosis (NIPD) and how NIPD would improve patient safety and detection rate as well as allowing detection earlier in pregnancy. Non invasive prenatal diagnosis can take either a proteomics approach or nucleic acid-based approach; this review focuses on the latter. Since the discovery of cell free fetal DNA (cffDNA) and fetal RNA in maternal plasma, procedures have been developed for detection for monogenic traits and for some have become well established (e.g., RHD blood group status). However, NIPD of aneuploidies remains technically challenging. This review examines currently published literature evaluating techniques and approaches that have been suggested and developed for aneuploidy detection, highlighting their advantages and limitations and areas for further research.